Japan Ambassador to the Philippines Koji Haneda said Tokyo might consider the inclusions in the general review to continue the agreement. “We would like to explore the possibility of adding new sectors and while those already with market access, we may include other produce. We are studying the details,” he said. The agreement aims to negotiate for the inclusion of e-commerce that could be patterned after the model drawn up by the Regional Cooperation and Economic Partnership. Japan noted a big trade traffic through the e-commerce platform with the Philippines. Haneda said the real time presence of e-commerce had been far-reaching and crossing international territories through trade, unlike 10 years ago when it was not being practiced yet. Japan and the Philippines submitted their respective proposals in July 2 in anticipation of the upcoming general review. The next meeting will be held in Tokyo after a previous dialogue in Manila. “We’re now at the final stage of preparation. I am hoping we’ll have to start the negotiation by end of this year,” Haneda said. 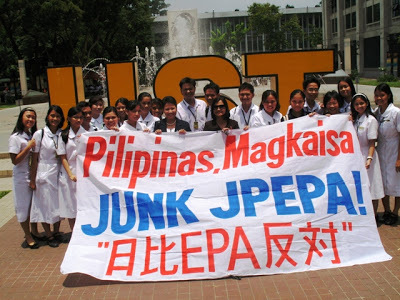 He said bilateral trade between Japan and the Philippines improved significantly after the enactment of JPEPA in 2008. Upon reinforcement of the agreement, both sides expect further enhancement of bilateral trade and commerce. Japan is the Philippines’ largest export destination for fresh foods and the second largest market for processed food, next to the United States. Data from the Philippine Statistics Authority showed Japan was among the top export destinations of the Philippines with a 16.2-percent total market share in 2017.